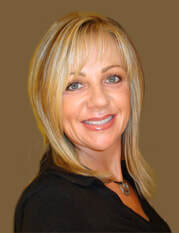 Manuela Mahler-Koch has performed thousands of procedures since 1996 utilizing the unique SofTap® technique. This manual method limits swelling, bleeding and bruising with no or very little down time. Results are beautiful, extremely delicate and satisfaction is high. Coming from an artistic background, her creative ability in applying permanent make-up is apparent. Manuela is working with many physicians, plastic and reconstructive surgeons. Eyebrows are carefully 3D microbladed or hair stroked for an extreme natural look. Eyeliner is placed conservatively between the lashes. Lips can be slightly corrected and naturally filled (stained). Areola color and shading after breast reconstruction. Unfortunately, I meet with many clients that seek correction on their permanent make up. Please do your home work and find a qualified and experienced technician instead of searching for a bargain. Remember, you get what you pay for and spend more money correcting your less flattering application.